Posted in Poetry, Spirituality and tagged christianity, Hope, Humor, Inspiration, Jesus, poetry, poetry prose, Religion and Spirituality, Spirituality. Bookmark the permalink. 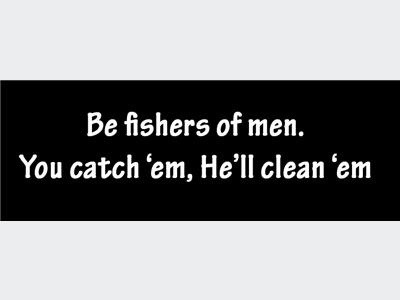 you catch ’em, He’ll clean ’em! That’s terrific! Love it! Hallelujah! I’m so glad He caught this fish! Love you too girl, thanks sis! Your writing is amazing. I truly loved this!